For make glorious music ukulele benefit the whole world and Byker! It’s Saturday night, I am not out whooping it up or perhaps having even more fun practicing my latest favourite ukulele songs (sigh!). No, I am starting to get very bored with making new songsheets for our sessions . 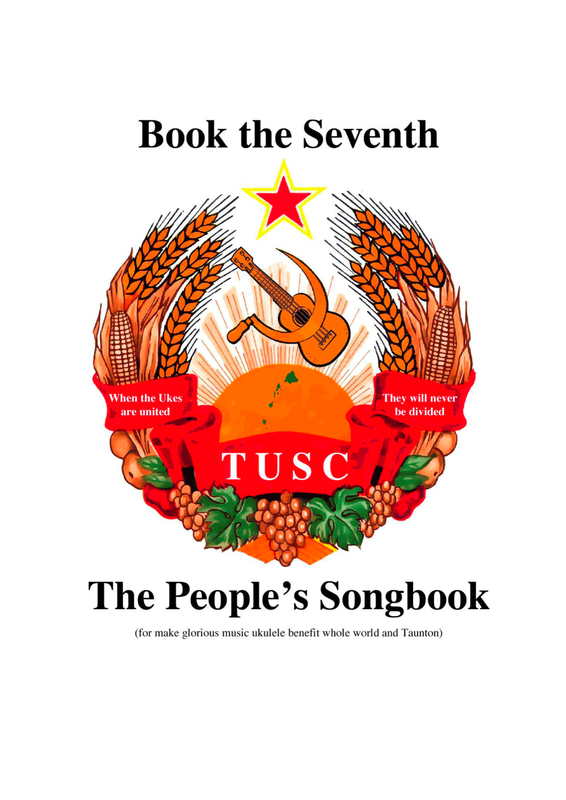 . . and then I found TUSC Songbook 7! and then I found the Ukephallus Man! 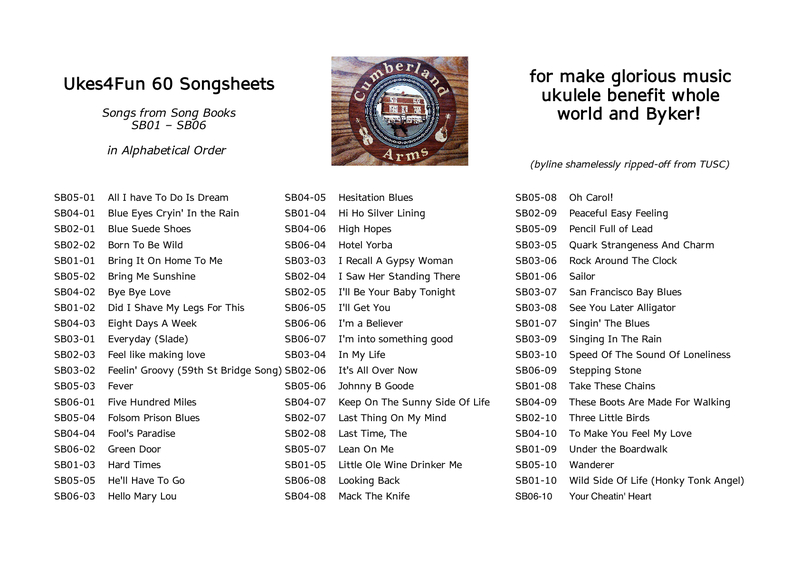 I will add this as an alternative index page for download as a pdf file on the Ukes4Fun Songsheets Page along with pretty versions of the index pages for each songbook. A guide, written FOR beginners..
To new ukulele players everywhere…. I’m Barry, and I’m a ukulele player. Well, actually, I am not just a player. In fact, I have found myself rather obsessed by the ukulele. You see, the little instrument can do that to you, it kind of gets under your skin. Before you know it, it has taken hold and you are stuck. It’s fun though! When I first bought a ukulele, totally contrary to all of my knowledge and good practice with guitars, I assumed the uke was a toy instrument, that it wasn’t very serious. I therefore spent as little money as I could get away with in the hope of having some fun. How wrong I was. You see it turns out that the world is flooded with cheap ukuleles that frankly, don’t play very well. Nor is the ukulele a toy or anything that shouldn’t be taken seriously. It’s an instrument and it needs the same thought and attention any other instrument receives. This frustrated me, but I carried on, and bought a slightly better ukulele. Some good songs here, and all in a good cause too.